An all new work by one of the most unique voices in contemporary comics, The Awake Field has our vote as the work that most fully realizes Rege's artistic vision. It is a beautifully drawn, designed and produced square format volume. Printed in two colors, the color field is employed with a nuanced delicacy that is integral to the effect that this work achieves as it penetrates the reader's senses. Bound with a full color flexi cover and endpapers, this book is an aesthetic treat and a bargain to boot. There's nothing out there in any medium to compare to Regé's work. We say: a must! 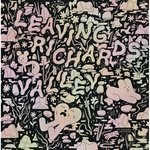 It seems to us that, with this work, Ron Regé, Jr. is channelling the spirit of the 20th century American painter, Charles Burchfield into 21st century comics. Like Burchfield's paintings, Regé's comics in this volume fill the viewer/reader with a sense of wonder at the impossible beauty and strange otherness of nature. 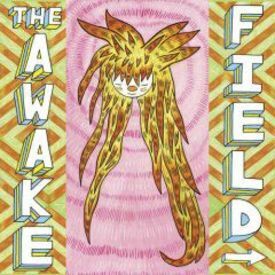 The Awake Field really puts you there, it communicates, it catalyzes neurons to fire in new patterns that trigger new thoughts and new ways of seeing the world as an... awake field. This one has been out of print for awhile, but we found a couple copies.